Got a long holiday season ahead of you? Nothing's quite like that special stress of the holidays, running around and frantically trying to get things done so you can enjoy that one magical day. Now you can celebrate the season and reduce your stress at the same time! 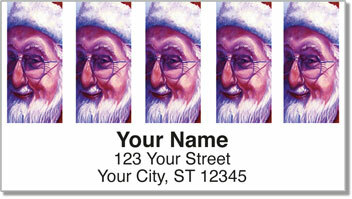 Not only do they address labels have delightful Santa Claus designs from Artist Shannon Grissom, their backing is self-adhesive making them perfect for addressing packages and Christmas cards! 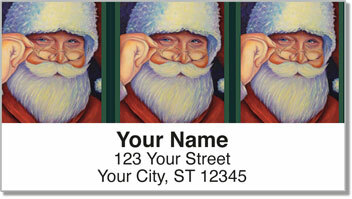 Order these festive address labels today and get shipping absolutely free!